Naudline Pierre creates paintings that serve as portals into a mysterious world. Pierre’s works are informed by religious narratives from her upbringing, and are laced with spiritual references and personal mythology. 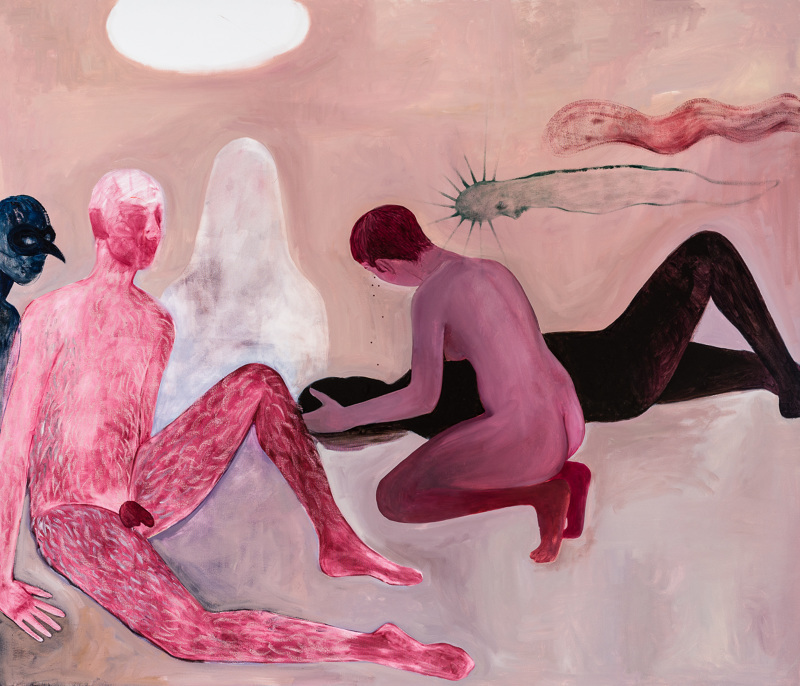 Caught between the beautiful and the haunting, the paintings depict intimate, otherworldly scenes in which characters find themselves in moments of embrace, gaining protection and empowerment through touch, as they explore the complexities of their existence. Naudline Pierre (b. 1989, Leomister, MA), currently lives and works in Brooklyn, NY. She holds an MFA from the New York Academy of Art and a BFA from Andrews University. She is a recipient of the Terra Foundation for American Art residency in Giverny, France, and the Estée Lauder Merit Award. Her work has been included in exhibitions in New York City, Los Angeles, London, and Bucharest. Pierre’s works are in the permanent collection of the Pérez Art Museum Miami and the CC Foundation in Shanghai.